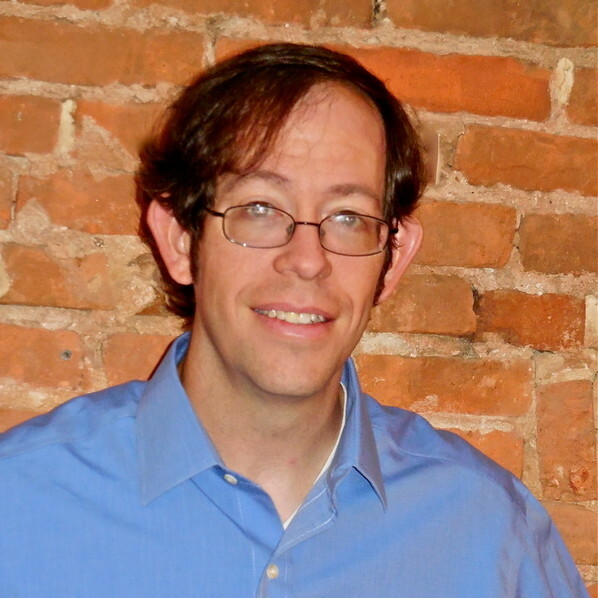 Derek, your “Secrets of a Pew Whisperer” series includes some of the most-read posts on Grow Christians. It seems like Inwardly Digest builds on some of the same themes. What do the book and the series have in common, and how are they different? What they have in common is that I’m interested in real life and how faith works practically in a crazy family situation. I’m not a priest and I’m not an academic; I’ve had the training for both fields, but I’m a dad who works a full-time corporate job and does a lot of driving to and from ballet! Teaching about the faith has to work at that level, whether it’s how one wrangles kids in the pew and the deep theologies underlying that or whether it’s where our worshiping words and practices come from and why that matters. What type of reader is the best fit for Inwardly Digest? Is it for everybody with a spiritual hunger, for someone new to the church, someone who has been a faithful Episcopalian for years? It’s for anyone who wants to know more about what the Anglican/Episcopal way of spirituality looks like. A lot of books on the prayer book treat it as a “book” and just focus on the history of the words. I’m coming from a different angle: I begin with the idea of liturgical spirituality—what that is, what it looks like, what it’s try to accomplish in individuals and groups, then I show how the prayer book helps us get there. 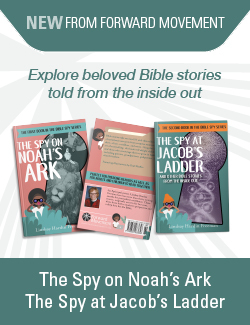 While I wrote the book to be accessible to someone who has just darkened a church door, I suspect some life-long Episcopalians will discover some things here they never knew before! From reading you (although we’ve never met in person) I can tell that you invest quite a bit of yourself in your work. How do you hope to make a difference in the lives of others through your writing and other work for the church? Look—I’m passionate about this stuff because it has made a difference in my life. I’m a better, more whole, more mature, happier person who asks better questions of life because my faith has shaped me to be that way. One of my greatest frustrations with church people is the far too common idea that they don’t need to learn anything more about their faith—or themselves—after they leave Sunday School in their teen years. It’s hard to be a mature adult with a robust adult faith when all of the teaching you’ve received was decades ago and aimed at a child’s experiences and intellect. I want to share what I’ve learned to help adult Christians claim a mature faith that can stand up to some of the really hard situations of the world that challenge us on a daily basis. Many of our readers are godparents, parents, and grandparents. What do you hope they might gain from Inwardly Digest as they raise and influence children and youth in their families and churches? One of the things that I stress is in my Secrets of a Pew Whisperer posts is that evangelism begins at home. Kids have questions. As we all know, they’re willing to ask those big is-the-emperor-really-wearing-clothes questions. And we have to have something to say. Sometimes it’s fine to say, “Gee, I don’t know—what do you think the answer could be?” Sometimes we have to say, “Um—I’m not sure. I’ll have to find out.” However, there are only so many times that we can use these responses without the little inquisitors wondering how seriously we take this stuff if we never seem to know the answers to what they’re asking. What I hope to accomplish with Inwardly Digest is to help fill some of those pieces in for parents, grandparents, Sunday School teachers, youth leaders, and congregational mentors. The better we understand the spirituality and the logic that animates our worship practices, the better we’ll be able to communicate it to the kids and youth around us. The better we understand how the practices of the prayer book are designed to draw us into life with God, the better we’ll be able to share that love and life with the little ones (and big ones!) that we care about. If it’s your first comment on this blog, it won’t show up right away. But be patient and it will appear after it’s approved! We’ll pick a commenter at random next Monday to receive a free copy. Update (9/19/16): William Sembello was randomly chosen to receive the copy of Inwardly Digest and he has been sent an email requesting his address to claim it. 1. I appreciate the honesty and integrity of the authors of Grow Christians and find the daily posts both enlightening and encouraging in my faith journey. I often forward the ones I particularly enjoy to friends or family. I appreciate that Grow Christians is so down to earth, speaking to where people are, not making sweeping assumptions. My children are grown, one is an occasional attendee the other not at all but the foundations still show. I enjoy hearing about how I can better implement faith formation at home with my almost 4 year old. I have been able to pass articles along in my role at church working with children, youth, and families. Oftentimes ideas are sparked from reading blog posts and I am able to execute things that make me look like I might know what I’m doing. 😉 I love being subscribed via email, I am able to check out each message in a timely manner. I would love more about engaging in inter-generational faith formation. How we can support whole family spiritual growth. 1. I really love this writers point that “evangelism” begins in the home. It’s a practical way of saying that it begins in the heart and moves out into the world. 2. Keep sharing the practicality of our beautiful Episco-Anglican Incarnational Spirituality from the every day experience to our sublime, corporate liturgies. I am learning so much from reading Grow Christians. When I get so busy that I think there is no “me” time reading Grown Christians slows me down and gives me some much needed “me” time. I think that whatever posts you do are fine and I just enjoy reading each of them. Thank you. 1. We have recently moved into the Episcopal church after many years in a fundamental church. I have found this site to be so encouraging and providing so many answers to questions that I have. 2. I particularly enjoy the articles about raising young children in the faith and would enjoy more of that. 1. As a Pastor and mother seeking to develop the spiritual practices in my home and church, grow Christians has helped immensely with ideas and suggestions to the different families in my church. It has also helped with what we are hoping to teach. 1. The Episcopal community is very diverse and this site celebrates that. I enjoy hearing from people in their different stages of the faith road. 2. I also would appreciate more from people in the later stages of life as they transition from working and child rearing to retirement and volunteering. Your “Secrets of a Pew Whisperer” has been very useful to me in encouraging the parents in my parish. Now this new book promises to be an excellent resource, not only for them, but for the less-informed elders, the newcomers, the university kids who want to know. Kudos, Derek! 1. I feel like I want to share almost every article with the Faith Formation team in my parish (I’m an Episcopal priest serving a Lutheran congregation) as we struggle with how to implement an intergenerational ministry model. 2. We could certainly use guidance on how to facilitate the conversation within the parish – how to get people for whom Sunday School is the only model of Christian formation they know, to dig down to the beliefs and assumptions that underpin their mental model of formation, and talk about what it is we are actually trying to *do* when we “grow Christians”. This article from Sharon Ely Pearson. Which links to her her five part series on the future of Faith Formation. Thank you! 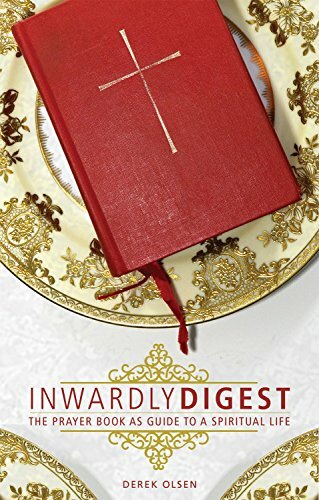 I’m looking forward to reading Inwardly Digest. 1. I’ve become a regular reader over the last year and greatly look forward to each post. They help me to chill. It becomes a joy to share with my daughter and grandsons why my faith means so much. It’s taught me to just live and show, teach by example. Being intentional in the moment to moment every day. 2. Please just continue more of the same. All the blogs so far have been so encouraging and inspiring. All of them! 1. Grow Christians has helped me, as Children’s Ministry Coordinator, have conversations with parents about how to talk to their kids and has provided fodder for me in planning our Children’s Chapel services. BTW, I’ll be quoting a piece of this interview in my next parent newsletter. Thanks! 2. I am always interested in ways to introduce spiritual practices to kids, especially practices they can take home and share with their families. The kids can lead the adults in so many ways. I have enjoyed many of the posts, but was especially encouraged by the one which told about coming to Christ as an adult. Some more of that type would be encouraging, but continue the excellent variety. Wow!! I don’t think I ever seen so many comments here. I love the postings of “Grow Christians” and have been in love with them from the first one I read back in the pilot phase. I don’t have children, but it makes me wish I did. I get so excited thinking about the fun it would be sharing and growing faith with children by using some of the things you have posted. I tell everyone I can about this site and encourage them to check it out for an opportunity to make each one of their days more fruitful and happier. I have also enjoyed the pictures you’ve included in the articles, particularly some of the examples from ancient buildings. Also the preparation for the Saint Days articles. So continuing with any of these types of articles will continue to make me happy. Thanks so much for continuing the fine work. I agree with most of the comments already written – Grow Christians is so great! As a children and youth minister (and mom to two little dogs), this is a great resource to share with fellow youth ministers and parents. I’ve learned a lot, but also been validated in many of the things I speak to families and parishioners about children and youth ministry – it take a village, all are welcome, and not every child grows in faith the same way. For me, each article is helpful and interesting. I’m enjoying taking the time to read them each day (totally agree with the “me time” appreciation of others! ), and look forward to that time in the mornings. Keep up the amazing work! I am a former Roman Catholic priest but will soon be received into the Episcopal Church in January. As I have come deeper into the Episcopal Church, I have grown to love the BCP more and more. It is something that I call my own, and yet it is the Church’s, I am the Church and it is great to have this book as a tool to help me grow in understanding and love of God. Grow Christians has helped me both by normalizing my experience as a parent (hey, there’s lots of us out there trying to figure out how to raise our children as Christians) and by providing specific content that I have been able to use from time to time. I am deeply appreciative. In the future: continuing practical ideas, which I have found very helpful, as well as the less practical pieces that address theory or overviews. Also, I wonder if there is a way of encouraging readers to interact with each other: do you have a Facebook page, or engage in other social media? We don’t have a Facebook page yet, but we’re making plans to start one yet this fall. 1. This article touches a nerve because when I try to live by the liturgical calendar versus the yearly calendar my soul seem to glide a little eaiser on the bumpy road of life. This reminds me to open up my prayer book and to look for ways (specific prayers or passages) to improve upon this journey. As I educate children regularly I sometimes refer to the baptismal covenant and remind myself that I have promised to raise these children in the life of the church and ways of God. What I like about the articles and hope to see more of is ways to incorporate faith into my already jam packed and crazy life as well as how I can offer it to my family. 1) How has Grow Christians helped you so far; 2) What would you like from us in the future? 1) I’m enjoying reading the posts on Grow Christians because they make me consider what I think I know about the various topics. I find myself reaffirming my faith and enriching my knowledge as I read. Grow Christians is a terrific resource! 2) I hope that Grow Christians continues to publish articles that address growing Christians of all ages. As a parishioner in a rural church, finding an online formation community such as this one makes it possible to interact with fellow seekers everywhere, rather than feeling that I’m displaced from the wider church conversation. 1) I like this website’s emphasis that our habits at home are a crucial center for discipleship. It subverts the expectation that all important formation happens in a church-provided program. You have to make an effort to invite God to transform you, to “renew the spirit of your mind” (Romans 12.2) 7 days a week, not just one. 2) Content for those in college. Involvement with my campus’ InterVarsity chapter has shown me how much spiritual hunger students experience and the number of Christians who are willing to commit themselves to their formation. By contrast, I’m amazed at how many Episcopalians think it’s okay to lose all engagement with church/faith in school, in expectation that these students will magically come back once they graduate and have kids. 2. I appreciate what’s being offered, but more from the grandparent’s perspective would be nice as well. I’m excited to see this book released. Looking forward to learning more from Derek. 1. I am very new here. But, I love the emphasis on things we can do at home, during what I call The Meantime, that time between formal worship. 2. Like a few others have posted, I would love to see “lots” of ideas and information for youth and young adults. I am on a task force at my church to bring in families with children and young people. That would be a great help in my quest to bring them in. 1) GC has been encouragement to me as a parent of young (but rapidly growing) kids. Encouraging to know other parents are facing the same challenges, and encouraging to hear wisdom from authors who have walked in these shoes already. 2) I’d like to continue learning about how to open kids’ eyes to the Spirit around us. Hands-on activities, forming family rituals, and other elements of our rich Christian tradition building a foundation for kids’ lives. Looking forward to reading this after following your blog for several years.